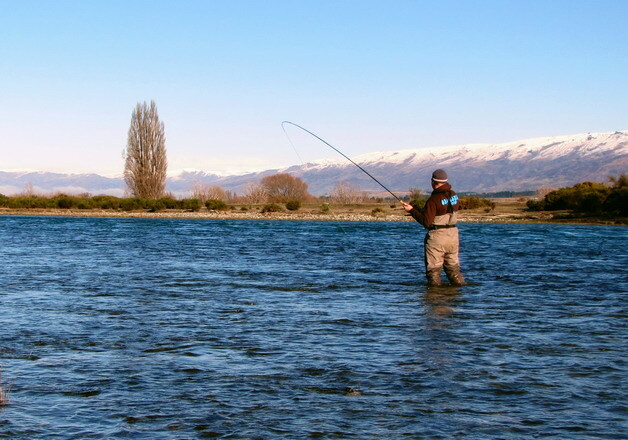 Many people find the larger waters of the Clutha, and similar sized rivers rather daunting over winter. Unlike the months of summer, when fish will readily respond to dries, they now lie deep in the holes, and move very little to feed. Heavy nymphs and larger streamers are called for to elicit a strike, but prove difficult to cast on conventional fly gear. Staying consistently deep often requires advanced stack mends and slack line techniques, but these can prove difficult to execute without impeachable form, and throw in a less than aerodynamic size 2 leaded streamer, or a Tongariro bomb of sorts to the equation and you are asking for trouble. In July last year I was sent an Airflo ‘Switch’ combo and matching line courtesy of Manic Tackle Project. 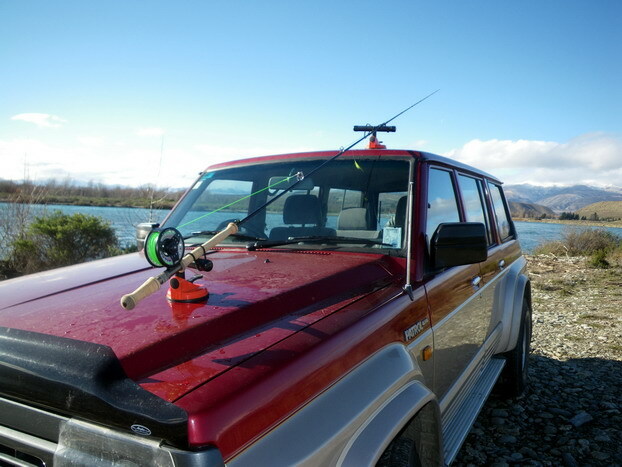 Immediately I saw the possibilities and the potential to tame the wild waters of the Clutha over the often tough, winter months, as well as the opportunity to learn a funky new skill set; whilst I regularly employ spey techniques on my single handed rods, learning a double hander would be a fun challenge. So what is a switch rod? A Switch rod can best be described as a rod designed to be cast either single, or double handed (generally performing better as a double hander). They have an extended fore grip, a rear handle, and are usually around 11’ in length of a 5 – 8wt designation. 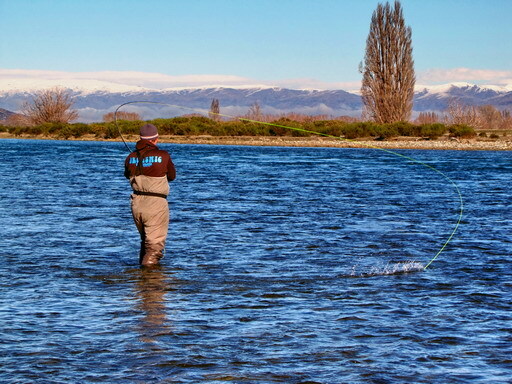 Shorter than traditional spey set ups, which can reach up to and more than 15’ in length, I feel the 11’ Switch set up will open up opportunities on a number of southern waters, from the mid reaches of rivers like the Oreti, to the larger waters of the Waiau and similar. 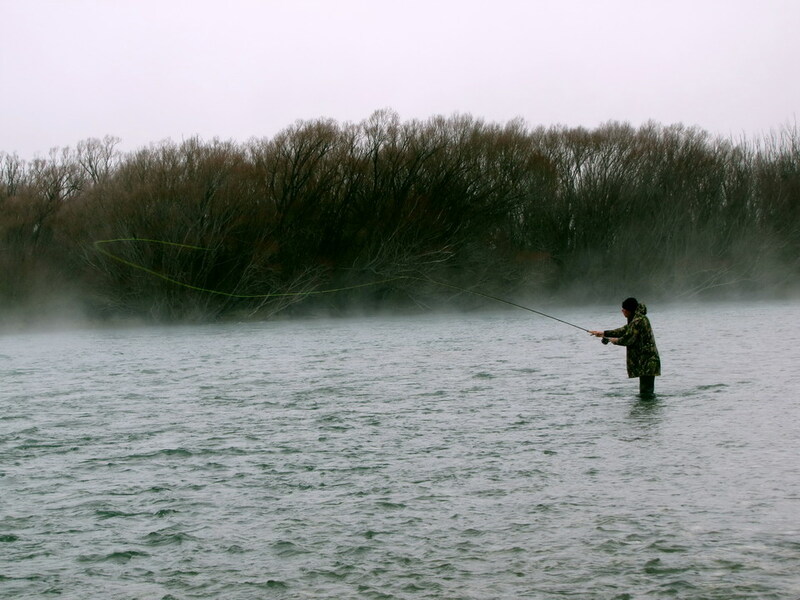 If you are a Clutha, Waiau or Waitaki angler, not to mention the larger Canterbury rivers, then Switching could be for you! With either an Airflo Forty Plus line and a combination of sinking poly leaders, or a specialist Compact Skagit line and custom sink tips if you really need to get big flies deep, a Switch set up becomes very effective indeed. The shorter heads of the 40+ mean you don’t need as large a D loop as with traditional long belly spey lines, perfect when back cast space is limited by trees or high banks, and the shooting line system allows for an enticing retrieve of your streamer at the end of your swing. The 40+ is also rather forgiving, making it a good line with which to learn the fundamentals of spey. Looking at tips, I find the 10’ polyleader system perfect for our medium sized waters, and change over to the 14’ Salmon weight super fast sink leaders when fishing the faster, deeper flows of the Clutha and the like. Specialist T-14 tips and Airflo's Custom Cut Tips allow you to personalise the length and density a little more and are my preferred tips for the winter time rivers of the south. The secret to casting double handers is to use a short, smooth stroke. Not a lot of power is required to make the cast, the longer rod acting as an efficient lever. Very little movement of the hands is required to generate tip speed, so take it easy, and think rhythmic; timing is everything. If you jump onto Youtube and look up the single spey, double spey, snap T , perry - poke and snake roll you will be set for most situations. However, there is no substitute for good, personalized instruction, so if you get the chance, I recommend you look up an FFF Certified Casting Instructor and spend an hour or two on the fundamentals of spey. It will be money well spent! I myself will be offering half-day Double Handed fly fishing trips to the Clutha over the winter months. Feel free to email me if you are interested in giving spey a try. Switch rods add another realm to fly fishing, and open the doors for casting further, or getting deeper with heavy lines, bigger flies and less effort. I use my Switch for swinging large Double Bunnies and similar streamers across and down and have found the ease at which I can cover big water, with big flies has really upped my success rate on the Clutha, and other medium to large rivers this winter past. So why not Switch this season and check out the big water opportunities near you!